Labor-saving and value-addition technologies for groundnut promoted by ICRISAT in collaboration with the Compatible Technologies International (CTI) were among the highlights at the 15th National Agriculture Fair in Malawi. 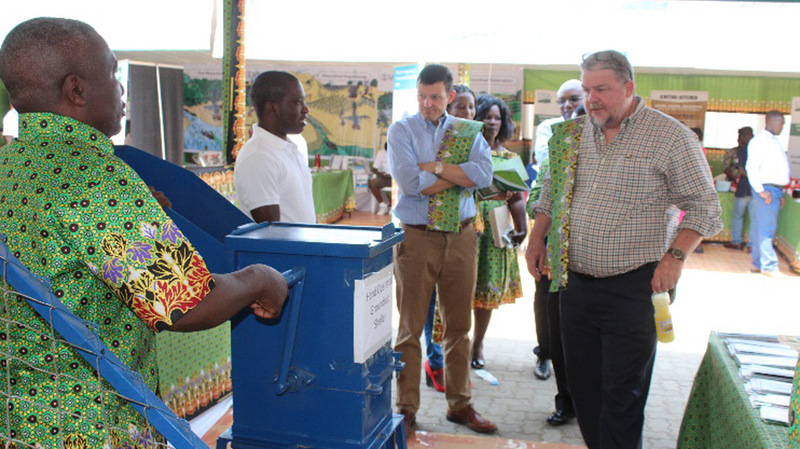 The fair, which was officially opened by Malawi President Dr Peter Muthalika, brought together seed companies, non-governmental organizations, smallholder farmers, commercial farmers and the donor community to share experience and expertise on agricultural activities across Malawi. 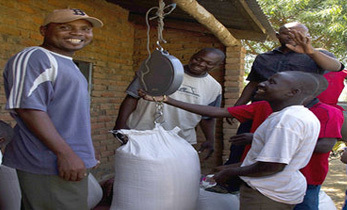 The President urged Malawian farmers to stop exporting raw materials, and instead process their produce for higher prices at the international market. 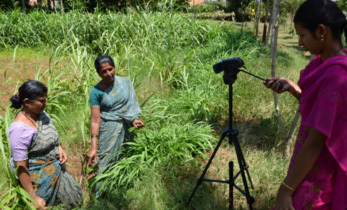 Among other technologies, ICRISAT showcased the groundnut sheller, stripper and lifter as well as peanut butter maker and groundnut oil expeller, which saw many patrons flocking to the ICRISAT pavilion to enquire how the technologies worked, and how they could be accessed. Mr Peter Trenchard, Acting Mission Director, United States Agency for International Development (USAID), who visited the ICRISAT pavilion along with Mr Cullen Hughes, Director of Sustainable Economic Growth, said, “The groundnut technologies respond directly to the challenges being faced by many smallholder farmers, especially women in Malawi,” adding that there was a need to scale out such technologies to the grassroots level. 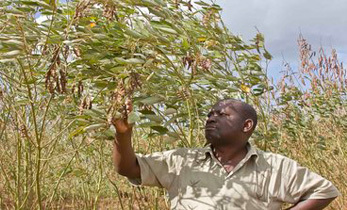 Newly introduced groundnut varieties, including CG 9, CG10, CG 11 and CG12, CG13 and CG14 were also showcased, with many farmers expressing interest in traits such as rosette resistance and large seed size in the new varieties. The National Agriculture fair is an annual event organized by the Malawi Confederation of Chambers of Commerce and Industry (MCCCI). 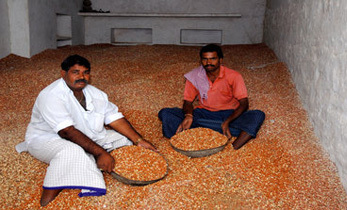 This year’s theme was Access to Finance, Value Addition and Markets – Key to Agri-Based Industrialization. 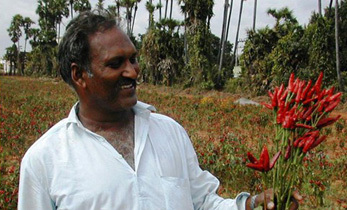 ICRISAT is leading a consortium of other CGIAR centers (viz. 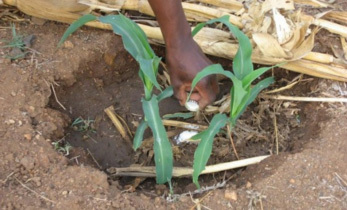 CIMMYT and IITA) as part of the USAID-funded Feed the Future Malawi Improved Seed Systems and Technologies (FtF-MISST) project to strengthen legume and dryland cereal seed systems in Malawi.